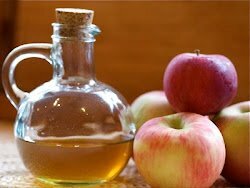 Apple cider vinegar(ACV) is a type of vinegar made by the fermentation of apple cider which reduces itching of the scalp and dandruff by destroying the bacteria and/or fungi that clog hair follicles. The fermentation provides alcoholic apple cider that is combined with oxygen to produce acetic acid. The pH of ACV (apple cider vinegar) is very beneficial for treating dry and frizzy hair esp due to hard water , hairloss and dandruff,as well as for reducing acne and blemishes….Apple cider vinegar is an extremely rich source of minerals (particularly potassium), vitamins, enzymes and amino acids.It is cleansing, gives the hair more body and luster,reduces hair-loss,and removes deposits of minerals from hard water and residue of shampoos,styling products. 1. 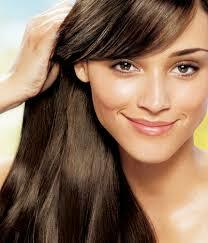 For itchy scalp and dandruff: Apply undiluted apple cider vinegar to the scalp with a cottonball. You could add 5-6 drops of rosemary oil (Rosmarinus officinalis) to the apple cider vinegar. Rosemary increases peripheral circulation, stimulates circulation and metabolism of skin layers and is commonly used to treat dandruff and other scalp disorders as well as hair loss and baldness.Wrap the head with a towel or a showercap for an hour.Wash the hair with a natural, herbal shampoo that is suitable for your hair type. 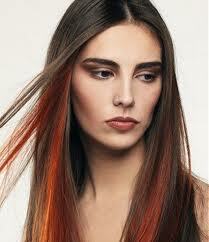 Finish with an apple cider vinegar rinse to flush out soap residue leaving the hair soft and lustrous . 2. ACV rinse to remove deposits of minerals from hard water and residue styling products. 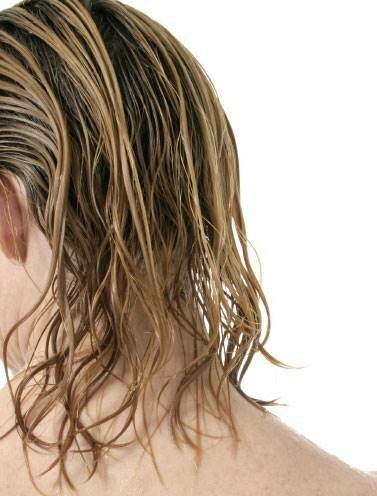 Method of use:Mix 1/3 cup of apple cider vinegar in 1 ltr of softened or distilled water and use as a final rinse after shampooing and conditioning.You could either spray it as a final rinse,or pour it over your hair bending over a sink.This removes all the build up of deposits and residues of styling products as well.Towel dry,and your hair will be softer and shinier .Do not rinse with the regular hard water after this rinse as it can cause redeposits of the minerals. 3. Reduces Acne and Clears blemishes :Apply diluted ACV (5 tbsp in a glass of water) with a cottonball to reduce acne and blemishes.Wash off after 15 minutes. 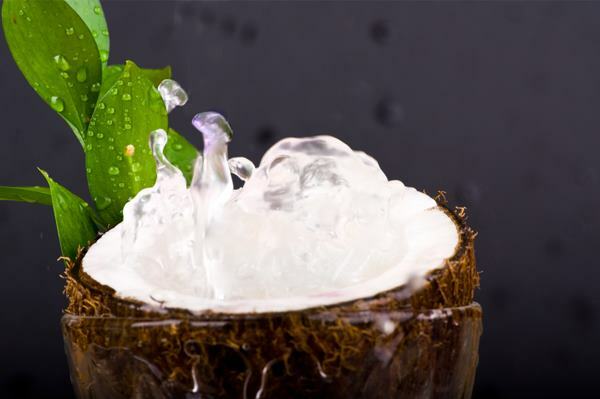 An energizing drink to clear your skin :2 Tbsp Apple Cider Vinegar,A squeeze of lime1 tbsp of honey,8 oz. of mineral water…..It is a natural remedy for heartburn,gout,helps clear up skin conditions and blemishes; gives a smoother texture and complexion, helps with joint pain and stiffness, helps to break down fats so that your body can use them rather than store them, helps reduce levels of glucose,reduces sugar cravings and lose weight.Ideally should be had before food as it serves as a natural appetite suppressant as well..It is generally believed that the nutrients, enzymes, and organic acids in apple cider vinegar causes weight reduction by acting as an appetite suppressant, by increasing your body’s metabolic rate, reducing water retention, and by helping you maintain a feeling of well being. From time immemorial,Healthy beautiful hair has always been one of our biggest beauty assets&at the top of our wishlists as well! !Well,just like each part of our body needs care, so does our hair! !So let’s start at the very roots by understanding the complex structure of hair &why it behaves the way it does………. Just like a beautiful plant sprouts forth from a bulb within rich fertile soil,so also the hair germinates in and sprouts from the hair bulb,and grows well when the root or the papilla is well nourished.Hair is composed mainly of the protein keratin filaments and it is the structure of these filaments that provides strength to the hair shaft. Hair grows from follicles in our skin. 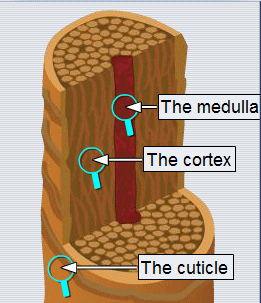 Follicles are pit-like structures with layers of cells with different jobs. The base of the root is called the bulb or the papilla, which contains the cells that produce the hair shaft which is nourished by a network of blood vessels; this is from where the hair that we see actually grows. 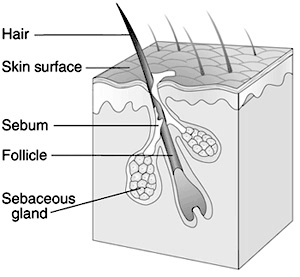 Other structures of the hair follicle include the oil producing sebaceous gland which lubricates the hair and the erector pili muscles, which are responsible for causing hairs to stand-up and giving us goose bumps. Anagen – Growth Phase-85% of our hair is in this phase and is actively growing.The Anagen phase or growth phase can vary from two to six years. 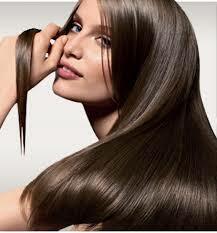 Telogen – 10-15 % of our hair is inthe Resting Phase ,occurs after the catagen phase and normally lasts about 5-6 weeks. 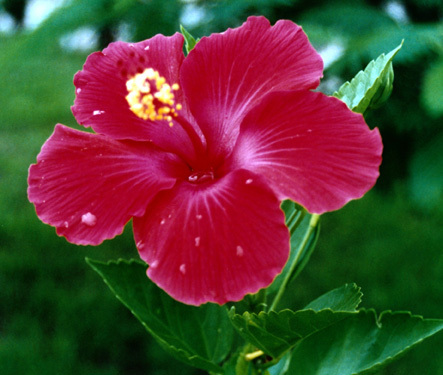 Did you know that the angle at which the hair comes out of the follicle is related to its shape? ?The shape of the follicle determines the shape of the cortex, and the shape of the fiber is related to how straight or curly the hair is.!!! Straight hair shoots straight out from the scalp and is round in cross section.Wavy hair is oval in shape and comes out of the scalp at an angle,whereas curly hair is flattened and comes out of the scalp at an extreme angle. Dry hair is dull,lacklustre and usually characterized by a feeling of dryness, split ends or hair that is brittle and breaks easily. This type of hair feels rough,and not smooth and silky and is generally indicated by frizziness,fly away hair and a lack of shine . This dryness can be caused by insufficient oil production by the sebaceous glands on the scalp or due to hormonal imbalances . 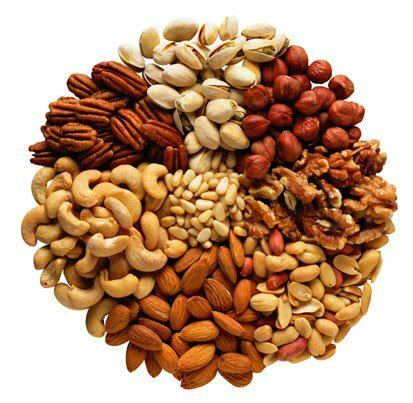 However, hair can also become dry through the use of aggressive, stripping hair treatments ,perming,hair dyes or chemical shampoos,styling products etc or due to an imbalanced diet which dos not contain zinc, essential fatty acids and vitamins. Let’s look at what happens when the hair feels dry: The cells of the outermost layer of the hair , known as the cuticle form a smooth, protective network. When the cuticle is healthy, these cells lay tight against one another with very little space between them for moisture to escape. 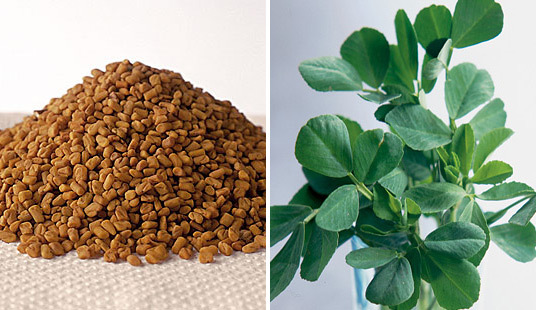 However, a lack of natural oil (sebum) can lead these cells to dry and harden, thus rendering this ideally smooth outer layer rough and course. When this happens, moisture from the inner cortex of the hair escapes and the protein chains in the cortex become dry and lose their elasticity. People with dry hair need to deliver moisture to the hair’s inner cortex while keeping the cuticle well lubricated and tight.Dry hair needs protection in the form of emollients and lubricants like herbal hair oils which will lubricate the outside cuticle layer of hair,and create a shine as well.Humectants like aloevera are also needed to retain the moisture within this type of hair. 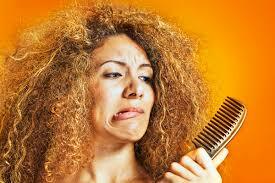 Frizzy or Curly Hair : Frizzy or Curly hair can be difficult to manage. Easy to tangle and especially prone to change shape and body with the weather – curly hair is also often prone to becoming extremely dry. That’s because the curl keeps the hair away from your scalp and your scalp’s natural moisturizers, called sebaceous glands. 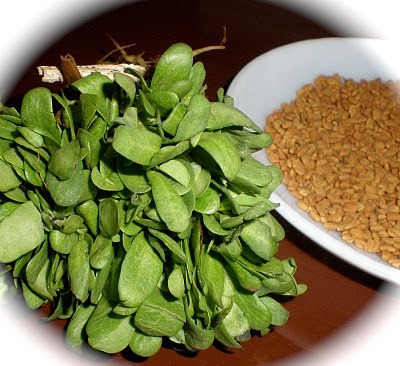 The sebaceous glands produce an oily substance called sebum which helps seal the hair’s cuticle and protect the protein chains of the inner cortex, keeping them moist and elastic. As curly hair often needs more moisture and protection, the trick is to get it this moisture without weighing it down with heavy, damaging residues or making it oily and more likely to collect dirt. Oily Hair usually goes hand in hand with an oily scalp.The sebaceous glands in this case work overtime& hair tends to take on a limp,greasy look.This is sometimes seen in adolescents,pregnant women or after menopause,but it settles down once the hormones stabilise.A diet loaded with fried food and saturated fats from red meat and dairy products may also cause overproduction of sebum. Coloured or Permed Hair: The hair’s outer cuticle is normally made up of a very tightly packed network of cells which do not allow moisture to escape and keep it moisturised and soft and is responsible for shiny, healthy hair,. The alkalis used for Colouring ,perming or straightening treatments first cause swelling of the cells that form your hair’s outer cuticle. The chemicals used in dyes then penetrate the swollen cuticle and move into the underlying cortex, and peroxide first bleaches out the pigment that’s there in the first place,so that the pigments can then change the colour of your hair. 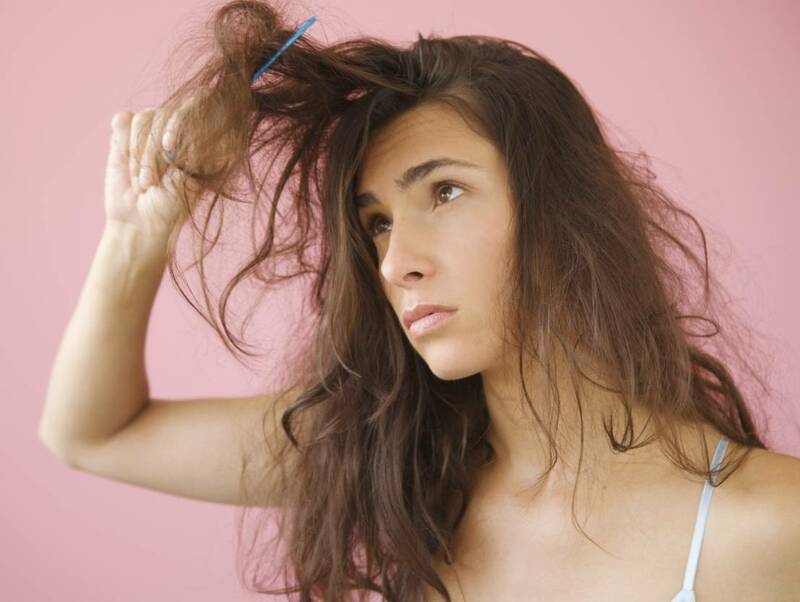 The first one or two times,the cells may shrink back to its original tight mesh.But the problem arises when we repeatedly subject our hair to chemical treatments.The more often you do this, the less likely it is that these cuticle cells will shrink back into the tight, smooth network and thus become dry and frizzy. There is no way to totally replace damaged cuticle on existing hair -the only solution is to wait for new hair to grow. But a good conditioner like aloevera or jojoba will act by filling in the gaps formed between the damaged cells and replacing the lost moisture,thus restoring some softness and shine to the hair. Lucky are the ones who have normal hair!! !Normal hair is hair that is strong,resilient,moisturised and shiny and a normal scalp is one that is moist and pink without any flaking,irritation or bumps.The goal of people blessed with normal hair is simply to maintain it in the same balanced state.